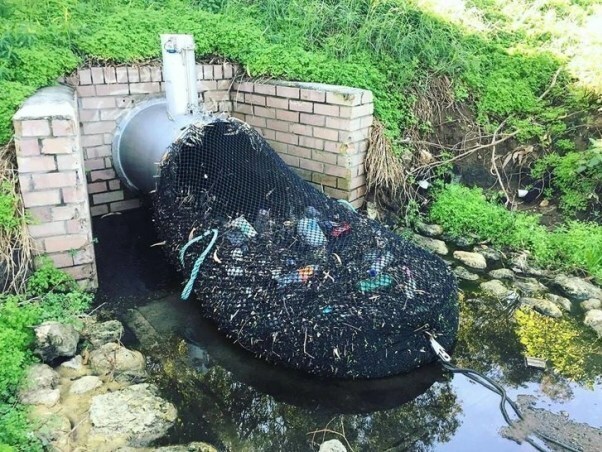 In Australia they installed a new simple, but unbelievably effective, plastic filtration system in the Henley Reserve to help prevent plastic from polluting our oceans. The Australian city of Kwinana has done something during this past summer that many countries have been attempting to do for years. Everyone including the government as well as the citizens have seen first hand the benefits that it can offer. The pipes that were first used in the initial experiments are pipes that drain water from residential areas to natural areas. More often than not the trash and litter from these places can come in large quantities and be harmful to the environment. Furthermore, this garbage is usually washed away by heavy rain which managed to pull it all down to the drainage systems. The idea started when the authorities installed two nets and then when they saw the results, they were amazed. The new infiltration system managed to catch more than 800 pounds of litter in only a number of weeks. Is this the future of trash collection? Although the monetary cost of these nets is quite large – about $10,000 each, the overall system is still quite profitable as it will save significant amounts money in the long run. Therefore, it has been decided that these trash nets will be installed all over the city with the aim to minimize the pollution to the environment and wildlife in the area. When they get full, the nets can simply be picked up and emptied into special trucks. After that they are taken to a sorting centre where they are separated into items that be recycled and items that cannot. They are then disposed of in their respective manners. I personally think this is a great idea that has been fabulously executed. This new idea proves that small changes can have huge impacts. As the population continues to grow and the amount of trash we produce inevitably increases too, could this be the solve the world’s pollution problem? Australia will carry on introducing their plastic filtration system but only time will tell.